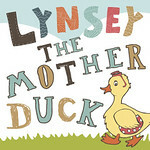 Lynsey The Mother Duck: Would You Trade Sunday Trading? I had an 'interesting' conversation with a friend of a friend the other day about Easter. They were, in my opinion, a little short sighted on the whole event and claimed that if you were not taking part in it for religious reasons then you should not partake in it at all. I do not normally get into debate whatsoever with regard to religion, each to their own, but they were so 'forceful' with their own opinion on it, I got a little infuriated. I am not religious at all, that is my choice but I know the role that Easter plays to Faith and understand it is important to those that do have a belief. However, to be told that I should not indulge my children in a chocolate Easter Egg, or 'enjoy' the Bank Holiday Weekend in it's honour was taking things a little too far. My argument is that the 'Egg' symbolises New Life and / or New Beginnings. This could be used therefore, to start new friendships, or wipe slates clean, or even begin new era's for children, for example; taking away a dummy. It is a positive symbolisation to people, whether they follow a belief / faith or not. The most important thing to me when it comes to Easter however, is that it is rare occasion when the country has a long weekend. My husband works full time and long hours and so do most of my friends so those occasions are longed for and looked forward too. Easter is one of the only other times, apart from Christmas and even that is slowly being shortened and shortened with everything open until 10pm Christmas Eve and open again 10am Boxing Day, that you can indulge in good, old fashioned family time. My favourite day of the four though, is Easter Sunday because, like Christmas Day almost everything commercial is closed. For me, it is a day for enjoying your home, enjoying each others company, enjoying 'the old fashioned' Sundays of my childhood where every Sunday was family day. Saturday was the day to enjoy going out and about and Sunday meant a lazy start, Sunday morning TV, Nan's Roast Dinner, watching 'The Match' in the afternoon and homework in the evening. This is my romanticised memories anyway. There has been a lot of debate recently regarding Sunday Trading hours, and whether it would be beneficial to extend them for the Olympic period. The argument for (that I heard on the radio debate I was listening to - and before you mock and giggle, I was at my mum's having lunch and it was on) is that is a unique experience and visitors will expect to be able to get anything, at anytime. The argument against, was that once the rules are relaxed will they go back to being restricted and what detrimental effect will this have on the British Family? There was various points of view about staff being made to work more hours and therefore cutting further into their family time, but on the other hand, one employer argued that extra hours he requires are offered and he always has willing takers who happily want to earn the extra money or exchange a day off on Sunday for one they prefer in the week. I have never been a Sunday trading fan, having been of the age where I had just starting working weekends to earn some pocket money and working in a shop was contracted Sunday hours. Gone was the day to recuperate and recharge the batteries. The day that you knew you had to entertain yourself with a book, or listening to music and waiting for the Chart Show to come on the Radio. I know a lot of people say they loved it when the Sunday Trading came in because they used to be so bored on a Sunday but it was never like that for me. I used to love the content feeling of a day in and knowing that everyone else was doing the same, bar a family visit or Sunday bike ride or walk. Now there is always a reason to 'just pop out' on a Sunday. I myself am guilty of using Sunday Trading when I haven't bought enough milk to last the weekend or am short of an ingredient for whatever I am cooking / baking. But at least once a month I try and ensure that our family undertakes a 'Traditional Sunday' - no leaving the house apart from a post - roast stroll. It gives me a little taster of my own childhood, although because I know the world is working a full pace, and many people are stuck behind a till, or working on a fitting room when they would rather be at home with their feet up, I don't get quite the same contentedness. However, Easter Sunday, for that one day we get that and I would love to have that more. But that is just my own personal opinion and I appreciate people respecting that. I like being able to pop out for a pint of milk etc now and again, but I think its important that everyone has some kind of rest over the weekend. At the same time I would not want to take away the choice for anyone who wishes to work on Sundays. I don't think it was very nice that someone rammed their opinion down your throat. very good point you made about the fact the holiday is about new beginnings. Interesting points. I think it would be a shame if society gets to a stage where shops are always open 24/7 - even on public holidays. I especially liked reading your memories of childhood Sundays, the roast, not much to do, the chart show. That is what it was like for me too - life really did drop down a gear to a slower pace on Sundays; all the shops were shut, and our village was like a ghost town. The only time that feeling ever comes back for me now is really Christmas Day and Easter Sunday. My bug bear about the Easter weekend is the sheer amount of chocolate that Pip gets bought by all my relatives. It really is ridiculous! We'll still be eating it at Christmas! I agree with the over-buying on the Easter Eggs for the kids. I actually asked that only the tiny ones come our way this year!